A blown head gasket is one of the most dreaded car problems around. Whether you’re a first-time car owner or a seasoned pro, it’s the kind of news that makes you want to bury your face in your hands. It can happen to just about anyone. What matters is you know how to prevent it, test your car for it as well as determine if it already needs replacing. 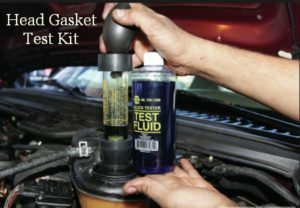 For this guide, you’re going to learn how to test for a blown head gasket. We’re also going to throw in some of the symptoms of a faulty gasket as well as other tips and reminders that will be handy along the way. Let’s start by defining what a blown head gasket is. 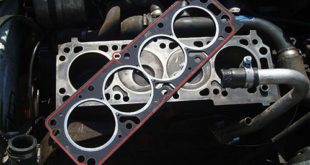 Your head gasket lies between your engine block and the cylinder head. 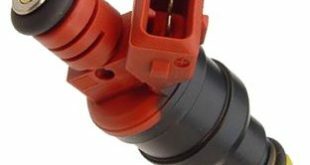 It avoids your car liquids from mixing with each other as well as seal the cylinders for optimum pressure. That being said, it’s particularly designed to withstand incredible amounts of pressure and temperature. However, fluctuations occur and when they do, your gasket is subject to damage thereby leading it to be “blown”. From compression loss to external leaks, a blown head gasket is a lethal problem that’s heavy on the pocket. One of the most common signs of a faulty head gasket is overheating. You will notice how quickly it overheats despite checking that the thermostat, radiator, water pump and cooling system are all working fine. Another symptom of a bad gasket is when white smoke comes out of your tailpipe, paired with the smell of anti-freeze seemingly being cooked. Longer crank engine time is another sign of a failed gasket. Even worse, other cars that are suffering from this problem won’t even start. Now that you have a better idea on how a blown head gasket manifests itself, it’s time to put it to the test. Testing for a faulty head gasket eliminates false positives and makes room for more accurate ways of knowing whether or not your car does have the problem. There are various ways to do this, some of which we will discuss below. Let’s begin with the most common, quickest albeit not always reliable test. For this test, you’d want your engine cold. First, remove the oil filler cap and check if a coffee-colored liquid has formed in and around the cap. 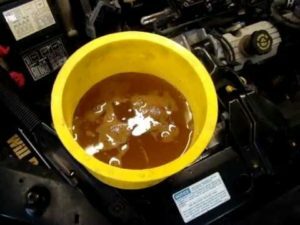 That’s a telltale sign that the coolant has mixed with your oil. This means your head gasket has failed to do its job to keep the liquids separate. You can also check the dipstick in your engine oil for the same color. Most car owners will end with this test once they see that their filler cap has that gooey liquid. However, those who don’t detect this shouldn’t stop there. This test is not always reliable when detecting a head gasket. So it’s best to move on to other tests until you’ve exhausted all options. Leaks are a manifestation of a bad gasket. These leaks are commonly seen in your spark plugs so it only makes sense for you to remove the spark plugs for inspection. Do this right by pressuring the cooling system once you’ve removed the spark plugs. Crank up the engine while you conduct your inspection. If there is coolant in one or more of your spark plug holes that starts spraying out, then you are dealing with a blown head gasket. When you have a failed gasket, it will allow combustible gases to enter your cooling system. This will then manifest itself as bubbles of air that can be seen in your radiator or expansion tank. Remember to take extra precaution while doing this test because the coolant could erupt swiftly from the radiator. That’s the kind of exhaust gas you don’t want to be near in. To check if there are bubbles, remove your radiator cap and warm up your engine. If you have a bad gasket, you will quickly see the bubbles in the tank. You can use a combustion leak tester kit to aid you during this test. So you’ve gone through the other tests and you see no coffee-colored engine oil and no external leaks. Surely you don’t have a blown gasket, right? Wrong. Don’t stop your testing there. 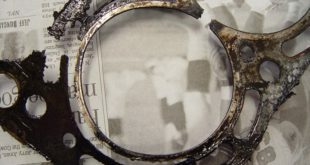 In many cases, the gasket has burned at a point between two cylinders. What happens is that the gap in the gasket allows the combustion or compression of one cylinder to seep to the other or vice versa. Conduct the compression test by removing all spark plugs and thread the compression manually. Crank the engine and observe the readings on your compression tester for each cylinder. When two side-by-side cylinders result to 0 psi, then you are dealing with bad news. Having the right tools to can lessen all the time and effort you’re putting into inspecting for a blown head gasket. One, if not the best tools around is a gas analyzer. It comes with an emission reading machine that will tell you just how much hydrocarbons are present in your engine. If it’s off the charts, then you’re definitely dealing with a faulty head gasket. Remove the cap off and insert the exhaust probe of the gas analyzer. Put your hand on top so the probe is getting enough gas to analyze. Make sure not to get any coolant in your analyzer because it’s only meant to read gas, not liquid. Be extra careful if you’re working with pressurized caps since most cars still have them. Check the readings and if the hydrocarbons go beyond 100, then it’s time to have that gasket fixed. It’s best to conduct this test three times just to make sure the readings are accurate. You can also crank up the engine while doing this. 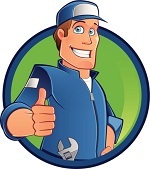 We recommend doing this with the assistance of a professional auto-repair shop. If you want a quick and tested solution for this problem you may want to check our article about the 5 Head Gasket Sealers. For starters, you are working with gas and pressurized parts that can pose serious dangers to you and the people around you. Plus, you wouldn’t want to screw up your car any further, would you?